Year: 2013. Client: Victoria & Albert Museum, London, UK. The Victoria & Albert museum commissioned Tarek Atrissi Design to participate in the design for their first major contemporary photography exhibition about the Middle East. 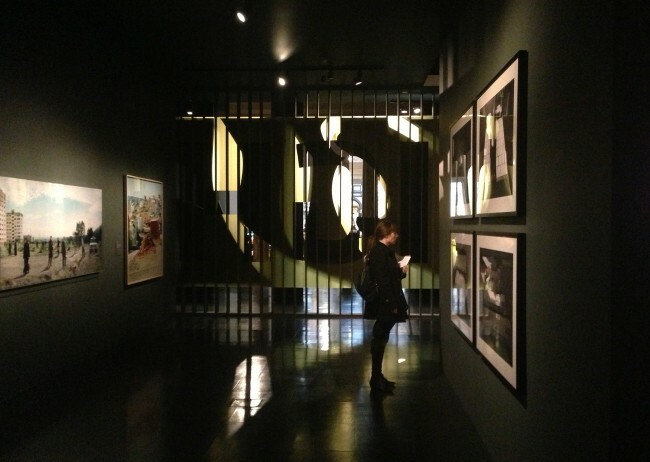 “Light from the Middle East: New Photography” (November 2012- April 2013) featured over 90 works by some of the most exciting artists across the region. 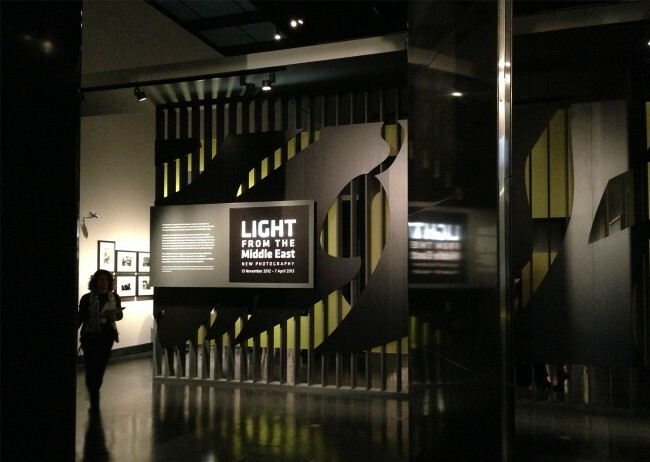 A 2D graphic design concept for the exhibition was created and incorporated into the 3D design of the space. 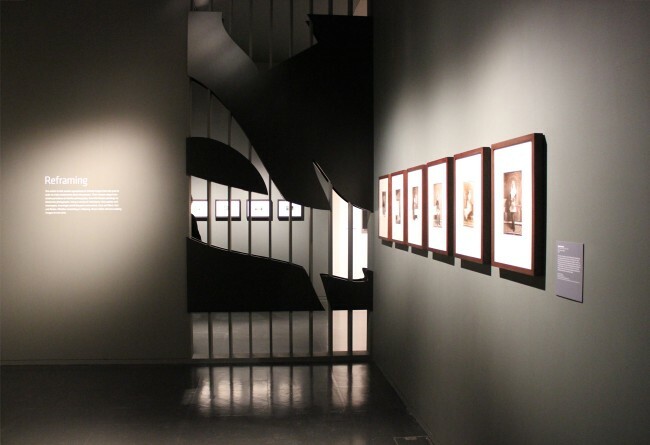 The goal of the project was to create an exhibition space that reflects strongly the essence of the Middle Eastern culture without being too strong and imposing over the photographic art on display at the Museum. The main components of the design included the exhibition main entrance and mural; the introduction and section panels; the labels for the exhibition as well as the murals within the exhibition space and the overall color and visual coordination. The V&A was keen on bringing through the exhibition and space design an authentic flavor of the Middle East to the exhibition space that reflects the theme of the artwork on display. To avoid the typical clichés often wrongly associated with the Middle East in a design context, we aimed at creating a design language that truly reflects the reality of the region. That is why we turned to the “street” as a main source of inspiration. 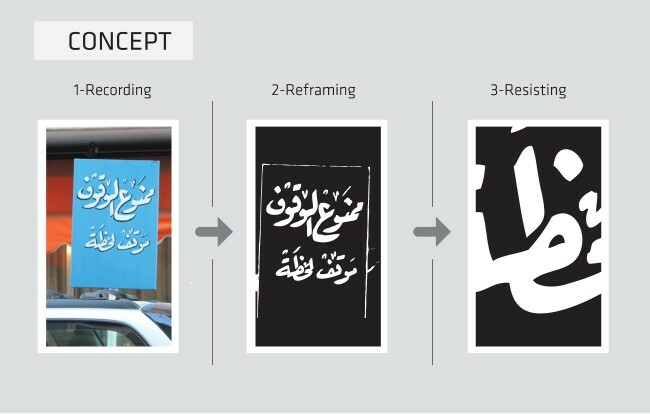 By applying the concept of “Recording, Reframing, Resisting” in a typographic context, we used a documented hand-lettered street sign in Beirut to deconstruct its visual typographic elements and use these as a main ingredient for the design. The calligraphic / lettering style on that sign was recreated with the exhibition title in Arabic, and by cropping and reframing it, the large murals of the exhibition space were designed and produced. 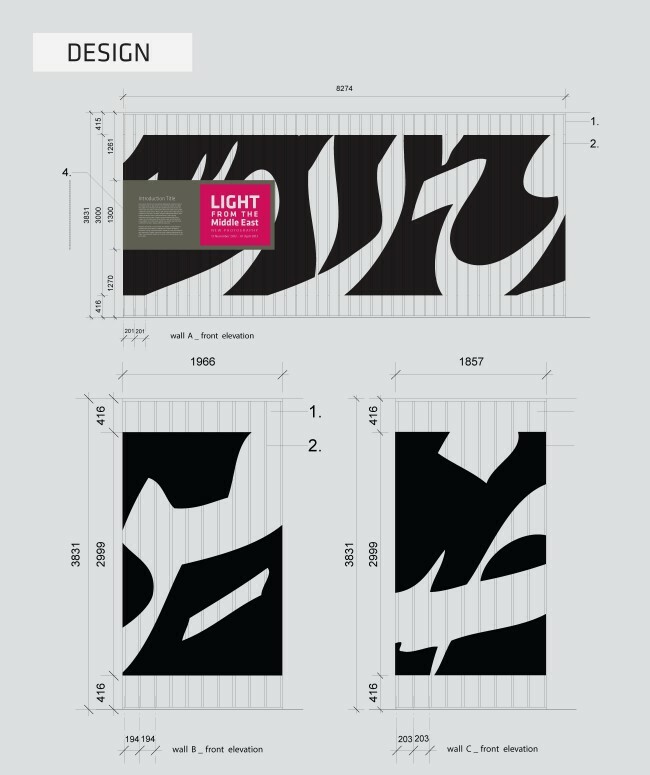 Once defined, the concept was carried to the detailed design stage where the typographic abstract elements were integrated in the space as part of the huge murals within the exhibition. The negative and positive space of the Arabic letters created the opportunity to play further with the concept of light and in providing different perspectives in looking at different areas within the exhibition space. The material was carefully selected to work with the construction foundations of the exhibition design and the final 2D graphics integrated within the 3D design and was detailed and finalized for production in the tender document provided to the fabricator. The final exhibition space was very typographic, using Arabic letters as forms in very large scale while remaining subtle and not overshadowing the art on display. 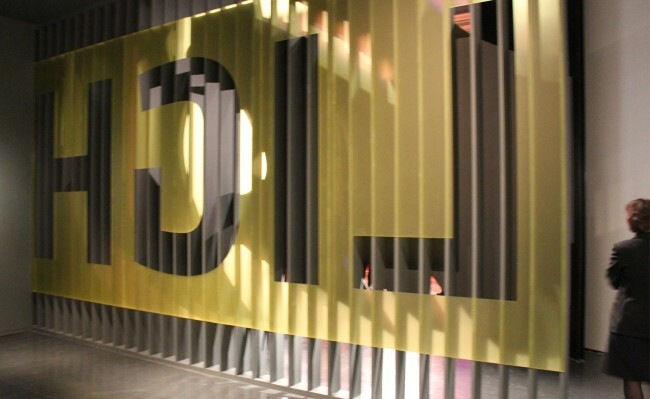 The main entrance of the exhibition consisted of multiple layers of Latin and Arabic typography that combined to give the exhibition its own recognizable style. Urban typography was brought from the street to the museum. Most important, it helped reflecting an accurate visualizing of the real landscape of the Middle East today.